NEW YORK – – July 12, 2016 — Sisense, disrupting the BI market by simplifying business analytics for complex data, announced significant advancements to its platform to simplify the consumption of BI insights using IoT devices and Artificial Intelligence (AI) that create innately human sensory perceptions. Sisense Business Intelligence Virtually Everywhere launched today as a beta program with its first two devices — a Sisense-enabled Amazon Echo and a Sisense-enabled IoT lightbulb. These innovations take BI beyond the 2D screen and enable a more intuitive and emotional connection to data insights using all senses, resulting in increased engagement and adoption. Early customers, including Act-On Software, Skullcandy and CTSI-Global, are already seeing positive tangible impact from the new capabilities with the Sisense BI Virtually Everywhere program. 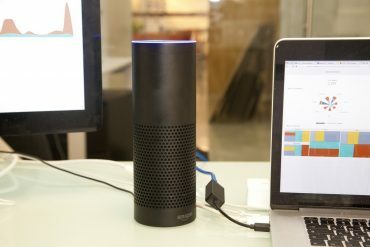 Sisense’s integration with Amazon’s Echo brings BI beyond the screen and into employees’ natural environments, using the power and simplicity of natural language. This is the first opportunity for AI to humanize data consumption, allowing business users to move beyond the confining two dimensions of screens and interact more naturally with their data by asking questions and hearing results in real time. The ease of conversation drives increased engagement with data and opens access to BI insights. The Sisense-enabled IoT lightbulb creates another new way to consume business insights. The ambient light is a subtle but ever-present representation of how business users are progressing toward a specific business metric. 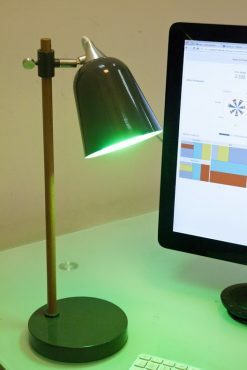 The emotional response triggered by the Sisense-enabled IoT lightbulb, as it changes color in response to changing business conditions and KPIs, has shown to increase user engagement, motivation and drive behavior.